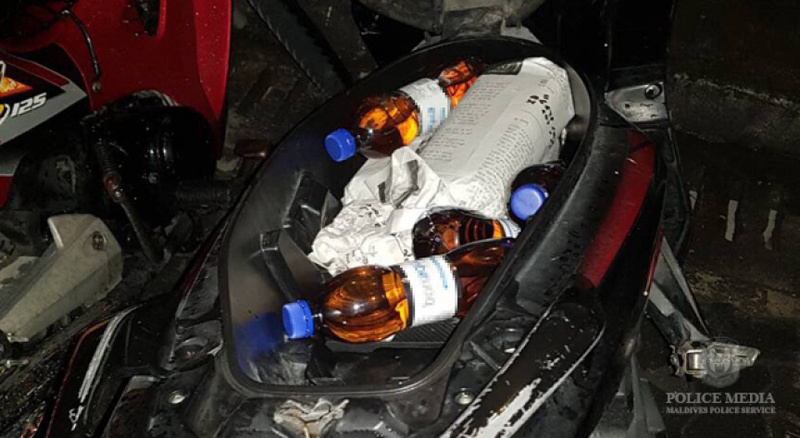 A 22-year-old man has been arrested from Male’ City in possession of liquor bottles. Maldives Police Service reports the man was apprehended in the late night hours of last Tuesday. He caught the attention of patrolling police men who stopped him and discovered liquor bottles under the seat of his motorcycle. MPS reports the authority seized three liquor bottles and four 500-ml bottles containing what is believed to be more liquor. The case is under investigation by the Drug Enforcement Department.